Online retailers may have revealed Ubisoft's plans to delve into its back catalogue and release some PS2 classics for the PS3. 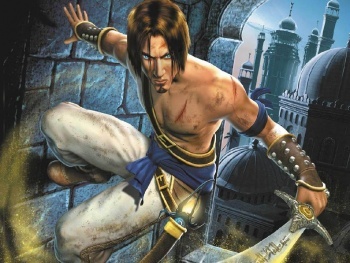 Listings discovered on the French Amazon site seem to indicate that Ubisoft plans to release collections of the Prince of Persia and Splinter Cell PS2 games for the PlayStation 3. The listings have almost no details aside from platform and format, but refer to Prince of Persia and Splinter Cell trilogies, suggesting that they will contain the much loved Sands of Time games, and the first three Splinter Cell games. The Splinter Cell listing seems to have been removed, but the Prince of Persia listing is still up, and has a release date of November 2nd attached. Obviously, much of this is just speculation and shouldn't be considered conclusive proof that the collections are coming, but Sony did say back in June that there were more PS2 collections on the way. While it was never expressly said that there were plans for third-party collections, there's no reason why publishers like Ubisoft can't follow Sony's lead and breathe new life into older titles. The gamescom 2010 show just around the corner, so we may find out more information on this very soon.